What is a babywearing consultant?!? This is just my understanding of it, so feel free to correct me if I’m wrong, after all I AM NOT YET certified nor have completed any formalised training. I don’t have public indemnity insurance, I don’t charge people for advice…. 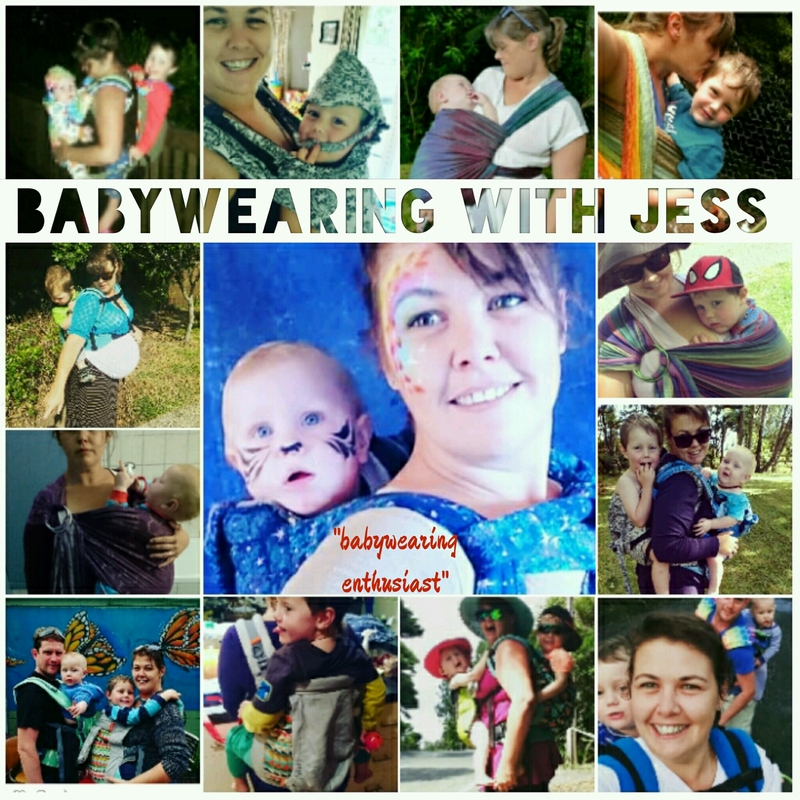 A babywearing consultant is someone who has been independently trained to teach others about babywearing, to provide advice and expertise on the range and variety of babywearing options available and/or to help someone fit and comfortably use an existing carrier they own. They are often utilised in special case scenarios (premature bubbas etc) where your sling meet educators and leaders may not have been trained in in certain cases, or where people can’t get to, or for whatever reason, don’t want to attend a sling meet, or, would prefer more intimate or personal guidance. This is a relatively new concept to New Zealand, and aside from sling meets (ie Slingbabies; which are amazing and a great resource), there is no where for parents to learn about babywearing. Most big name baby stores sell largely limited ranges, often those notorious within the babywearing community for being either uncomfortable or not at all ergonomic, or both. The few “good” retail stockists still sell a limited range and the world of babywearing is often something many parents struggle to enter. Solutions that work for people are often very much a personal preference and fit kind of situation and most people benefit from trying before they buy. But for now, what I do know for sure, is that I wasted heaps of money buying slings and carriers that didn’t work for us and for some reason, stuck at it and found places like Slingbabies that helped me find my babywearing “sweet spot” and one of my favourite parenting tools for this age and stage of my life as a mum..
That whole ‘my baby cries bloody murder if I try to put him down asleep’, ‘baby just wants to be held’, ‘baby wants to sleep only on me’ phase… Babywearing is such an amazingly invaluable tool for coping with that in my opinion and if someone could have told me, not only “it’s not uncommon for your baby to want to be held and sleep on you just generally, for at least the first three months of life”, but then also followed that up with “a stretchy wrap or ring sling is a great tool for such times”… I might have felt less generally overwhelmed and daunted by the process and maybe have felt like I had more potential “tools” in my parenting tool kit to call on in those times that first time around as a new mum… Instead I just spent a large portion of time, sitting in a rocking chair with a baby on me, for close to the first five months of Josh’s life! But for right now, the world of babywearing is a bit of a hard one for people to enter and embrace, the knowledge about carrying our babies and children, while shared far and wide spread many generations ago, has now in some ways become a bit of an exclusive club that you have to have “ins” with to even learn or know much at all. So while I write a lot of crap on this blog, sometimes babywearing related sometimes just general happenings about my life with my tamariki, and while I have a Facebook page and have plans for a business within babywearing consultcy once I have finalised my certification, insurance obligations and other factors… I just wanted to reiterate, right now, I am simply “Babywearing with Jess”, babywearing enthusiast ? Hands on help and practise!